January 13th, 2011 10:03 PM by Lehel S.
A reverse mortgage has long been considered a loan of last resort because of its high fees. Now, a new type of reverse mortgage is attracting the attention of more-affluent borrowers eager to extract cash from their homes. But older homeowners—and the adult children who advise them—need to be aware of the new trade-offs. One of the biggest criticisms of reverse mortgages is their upfront fees, which can total as much as 5% of a home's value. Last fall, the Federal Housing Administration, which insures virtually all reverse mortgages, introduced the "Saver," which reduces these fees by about 40%. Lenders such as MetLife Bank, Bank of America and Wells Fargo have since begun marketing them. To cover its potential losses on a reverse mortgage—which can occur when a home isn't worth enough to repay the loan—the FHA traditionally pockets as much as 2% of the value of the property. This "mortgage insurance premium" is typically the largest upfront charge in a regular reverse mortgage. With the Saver, the FHA has cut this insurance premium to 0.01%. That is because homeowners who apply for a Saver are typically limited to borrowing about 80% to 90% of what they could get with a regular reverse mortgage, says Peter Bell, president of the National Reverse Mortgage Lenders Association. On a $500,000 home, for example, a 75-year-old New York resident would receive about $262,000 with a Saver, versus $331,500 with a traditional reverse mortgage, according to MetLife Bank. The lower lending limits mean the FHA is less likely to incur a loss—allowing for a smaller insurance premium. One caveat: While fee reductions can be especially attractive these days on fixed-rate reverse mortgages, these generally require borrowers to take out a lump sum and pay interest on the full amount over the loan's life. Whether a Saver makes sense for you or your parents depends on how much money you need and the amount of time your loan will remain outstanding, among other factors. 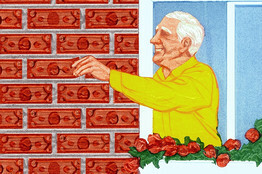 Typically, reverse mortgages are used for long-term needs, such as medical expenses. 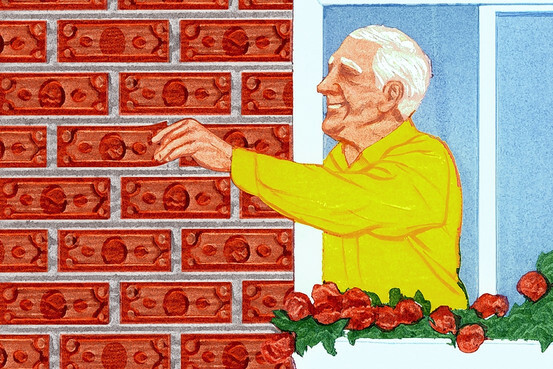 But the Saver "increases the ways in which older homeowners might use a reverse mortgage," says Barbara Stucki, vice president for home-equity initiatives at the nonprofit National Council on Aging. For instance, a borrower paying high upfront fees "may need to stay in the home a long time before the benefits of a reverse mortgage exceed the costs," Ms. Stucki says. But with the Saver, that calculation could be different. Matthew Gregory, an Atlanta-based reverse-mortgage consultant at Generation Mortgage, says a 68-year-old client with a $635,000 home near Dallas recently opted for a $300,000 Saver to avoid tapping his savings for a few years. "He thinks his investments are likely to appreciate by more than the housing market," Mr. Gregory says. The client, a retired management consultant, could do better with a Saver than a home-equity line of credit, Mr. Gregory says. The Saver's 4.01% "effective" rate—consisting of a 2.76% variable interest rate, plus a 1.25% annual fee—"compares favorably" with the 4.78% variable rate the client would pay for a home-equity line of credit, he says. Although closing costs on the Saver are higher, the client plans to hold the reverse mortgage long enough to come out ahead thanks to the lower interest payments, Mr. Gregory says. The client also didn't want to worry about his wife being saddled with monthly loan payments if something were to happen to him. So far, lenders say, Saver loans appear to be attracting a more-affluent borrower who likes the idea of a smaller reverse mortgage and lower fees. At MetLife Bank, for example, customers with a Saver have an average home value of about $350,000, versus $250,000 for those with regular reverse mortgages. Still, there are downsides to Saver loans. The loan amount is smaller than that of a traditional reverse mortgage. And some lenders charge slightly higher interest rates on Savers, in part because of uncertainty over investors' interest in buying them. MetLife Bank, for example, charges 5.25% for a fixed-rate Saver, versus 5% for a standard reverse mortgage. While "it may be appropriate to pay a higher interest rate to get a lower upfront fee," Ms. Stucki says, such a move could backfire if a borrower plans to keep the loan for a long time. Before talking to lenders, homeowners should consult a reverse-mortgage counselor approved by the U.S. Department of Housing and Urban Development, which oversees the federally insured reverse mortgages that account for some 99% of the market. For more information, call 800-569-4287 or go to www.hud.gov.